Anup Bandivadekar currently serves as the passenger vehicles program director with the International Council on Clean Transportation (ICCT). His interests are focused around developing frameworks and methods to foster innovative solutions towards achieving a more sustainable energy and transportation system. At the ICCT, Dr. Bandivadekar’s work is aimed at reducing air pollution and greenhouse gas emissions from passenger vehicles globally. 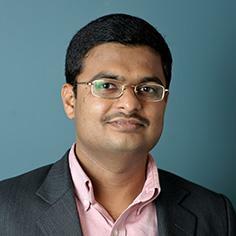 Previously, Dr. Bandivadekar served as a postdoctoral fellow in the Sloan Automotive Laboratory at the Massachusetts Institute of technology (MIT). There, he evaluated vehicle and fuel technologies that can significantly reduce greenhouse gas emissions and petroleum consumption from the U.S. light-duty fleet over the next 30 years. He holds a bachelor’s degree in engineering from the University of Mumbai and a Master of Science from Michigan Technological University in the field of mechanical engineering, as well as a Master of Science in technology and policy and a Ph.D. in engineering systems from MIT.